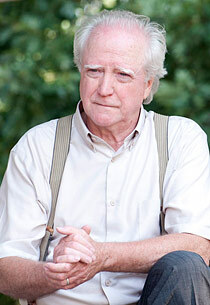 Up until recently, the defining aspect of Hershel’s character has been his staunch belief that Walkers are in fact sick people who could potentially be cured some day. Although he has come away from that way of thinking following the barn incident, the idea of a cure is one worth pondering. On the surface, finding a cure would seem to be the best possible outcome of such a terrible situation. People no longer having to live fear. Walkers becoming human again. The world beginning to rebuild itself to some fraction of its former glory. However, this idealistic vision thinly veils what truly would be a horrific reality. The most basic problem is the severe deterioration Walker bodies undergo in the time since they have died and been reanimated. Millions of former Walkers would be short digits, limbs, chunks of flesh from all over their bodies. The best case scenario is the group who could live without the parts they are missing. The worst case scenario are all the ones who would suffer in agonizing pain before dying because their bodies are so far gone. It is a safe bet that by the time any sort of cure is discovered Walkers would vastly outnumber the uninfected, so the logistics of simply providing medical care are unimaginable. Considering how we are always hearing stories of nursing shortages here in the United States, and that without any global-wide disaster, there is no way adequate medical care could be given to all that would need it. Even though a significant number of Walkers would survive the transformation back into being human, from there the problems just grow. Assuming that they regain use of all of their faculties, these former Walkers would have months, even years, worth of memories of brutally murdering innocent people and engaging in cannibalism. Many, if not most, would be unable to live with themselves knowing what they did. Post-Traumatic Stress Disorder can be seen in those having experienced a wide range of trauma, from house fires to sexual abuse to war, so it is a sure bet that incidences of PTSD would skyrocket to unseen heights in former Walkers and surviving uninfected alike, both having experienced such horrific events. Cases of depression, violence, self-medication, and flashbacks (among others) would also crop up, whether as a result of PTSD or independently. As with the physical maladies discussed, the shear enormity of the psychological care needed would be insurmountable. Another volatile issue in a world with the cure is handling the relations of uninfected and former Walkers. Reintegration would be a nightmare. Can you imagine living down the street from the person who tore apart your best friend with their teeth? Or moving back in with the spouse who ate your children alive? Violence between groups would be commonplace, as uninfected sought revenge for a loved one’s death or even just a way to release all of the anger. It would be the Truth and Reconciliation of Rwanda, but to the umpteenth degree. As much as Hershel seemed to think that a cure would solve all of the post-apocalyptic word’s ills, in reality it would just create a whole new set of problems. Problems that could not be dealt with through a simple bullet to the brain. In the end, it seems the only sort of cure that would suffice is one that put Walkers out of their misery.